The gist: Slits and rewinds pre-printed label rolls to separate, narrow cores. Best for maximizing efficiency and printhead life while reducing material costs and print times. The Afinia Label SR-100 allows users to print multiple designs on a page width and then slit them to wide as 8.86″ (225 mm) to multiple rolls as narrow as 0.86″ (21.9 mm). The slitter-rewinder is ideal for applications requiring small labels, such as lip balm, health and beauty products, and vape labels. 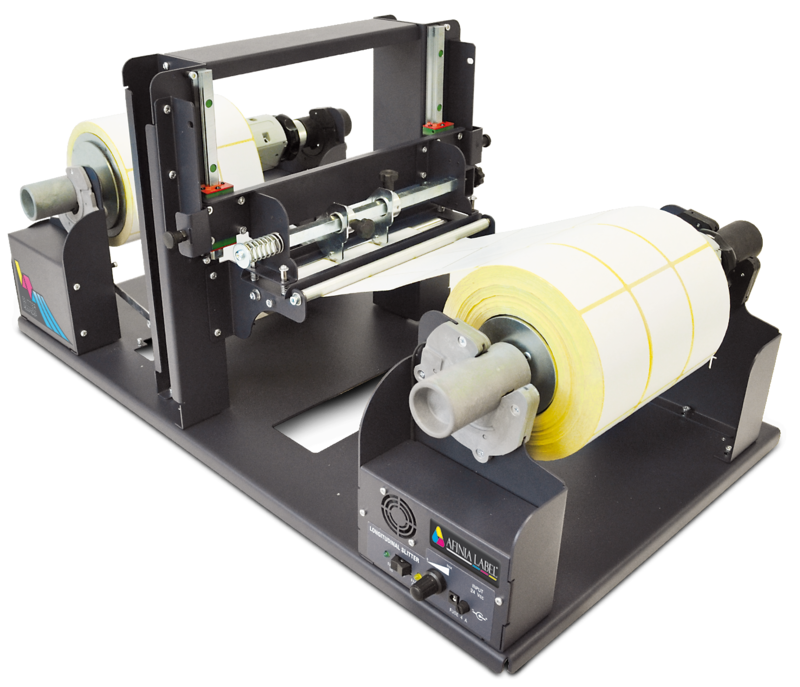 The SR-100 can slit labels at up to 42.7 ft/min (13 m/min), and works with rolls up to 9.84” in diameter, with a 3” fixed internal diameter. The SR-100 longitudinally slits full-width, pre-cut label stock, enabling you to use your label printer’s full width and maximize its output.